Why hello there, my name is Jahn. I like cheese as well as playing games. Today I’m going to talk about a really fun game called (drum-roll please), Plague, Inc! 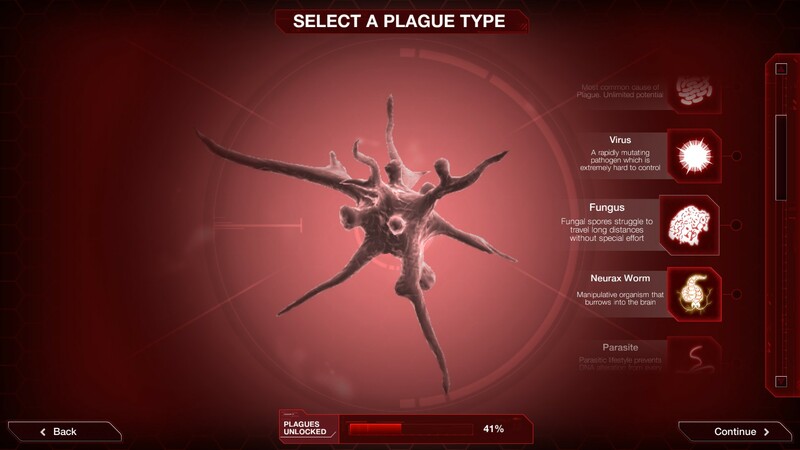 It’s a really fun game about creating a plague to wipe out the human race (yay, genocide)! You can use bacteria, viruses, fungi, etc., to create the mass extinction of the human race. Yippee! To do this, you can change it’s symptoms. immunity to antibiotics and lab reproduction (to make it less curable) as well as choosing different regions that get infected. You can also mutate it to be more effective on farm animals, rodents and birds. Plus, you can make it more effective in Air/Water travel (which is how you get those darn Aussies as well as Greenland and Iceland). Different types of plague do different things; for instance the Virus rapidly mutates and the Fungus has to have spores burst to really spread. 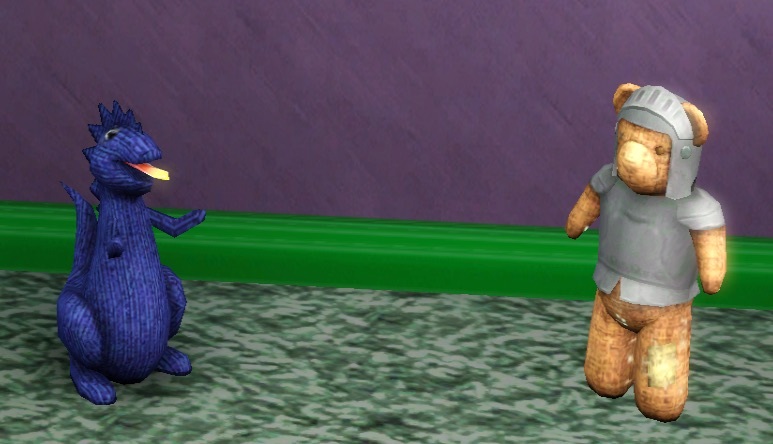 Yesterday, we looked at NRAAS mods that will help fix issues with the Sims 3 game. Today, we’ll look at more NRAAS mods – these will start changing how you play the game. Story Progression – I actually ran my game for ages without this one, until I learned how to fix the settings so I wasn’t being notified about everyone in town. I recommend reading this (quick couple paragraphs) and changing the settings they say – it’ll save you having to learn the stories about everyone in your town, unless you want to. 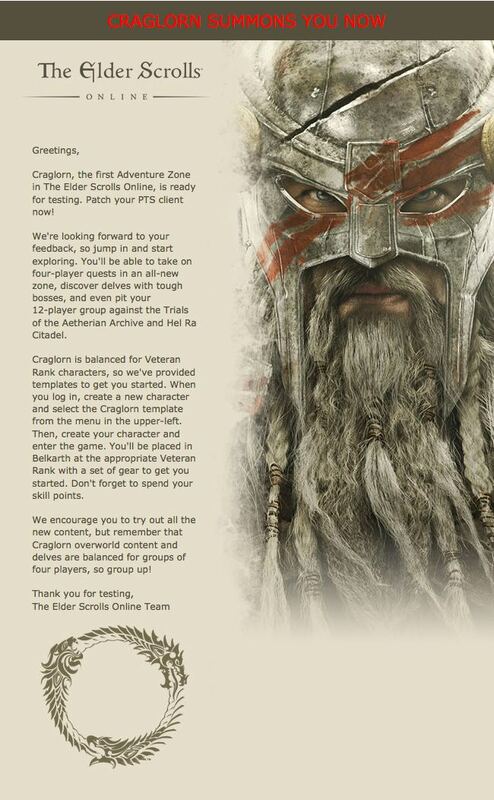 Of all the mods on this list, this one will probably affect your game the most noticeably. 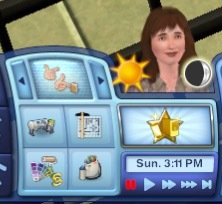 The only issue I have with it is that sometimes I have to go in and change the settings because the game already had plans for the sim that my sim is interested in. That’s a fairly easy fix though, and other than that, I love it. adding it to your 4 choices, and adjusts how long dreams and wishes remain available. Traveler – One of my very favorites; this helps with issues when sims travel between worlds, along with doing a lot of other things, like letting you decide whether the sims in the travel worlds should age normally, allowing you to move to a travel world or stop the time clock so you can spend as long there as you’d like, oh, and it allows you to use each world you own as a vacation world, so you can send your sims to the beach for a visit. 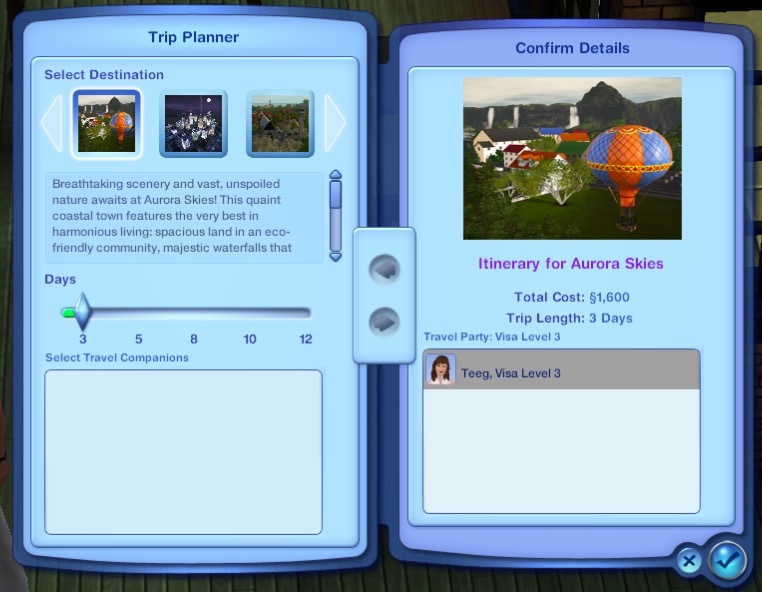 Traveler turns all the worlds into vacation designations. Last, but definitely not least, this list wouldn’t be complete without mentioning Master Controller and Debug Enabler. There is so much to both of these, that it is hard to just casually mention them in a blog post. 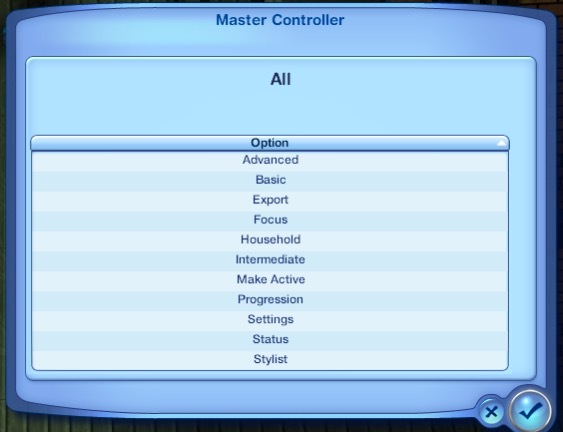 I will come back later and post more about what you can do with each of them, but for now, Master Controller lets you manage your sim and the population of your town. 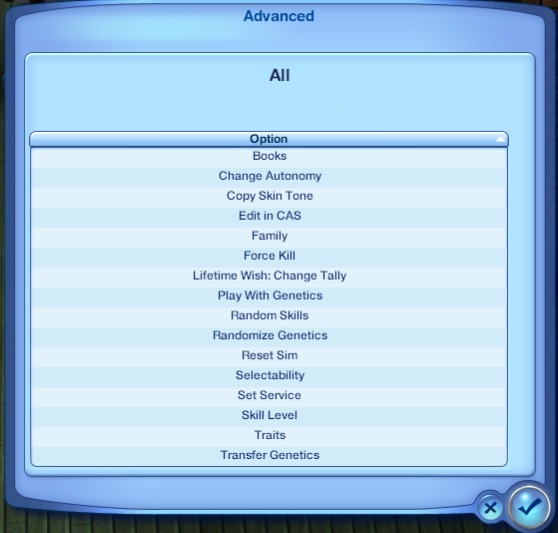 You can max motives, make the selected sim your active sim, enter CAS to edit the selected sim, etc. If you played Sims 2 and remember the tombstone of Life and Death, you can do almost everything that you could do there. Debug Enabler takes it even further. With the two added to your game, there’s really not much of anything that you might want to do to your sim that’s not possible (except for turning your sim’s head into a cupcake – that’s only possible in Sims 4). My entry for the Sims 3 weekly Design a Room challenge (this one is ending April 14). 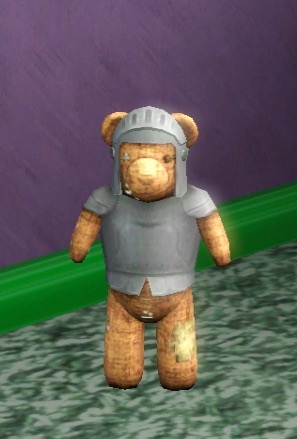 Sir Bear belonged to a little girl named Suzie who had been very, very sick. She and Sir Bear had been in the hospital for a long time, but Suzie was doing better and they were coming home. Sir Bear and his best friend, Dragon Dragon (along with Mom and Dad), had planned a surprise for Suzie. 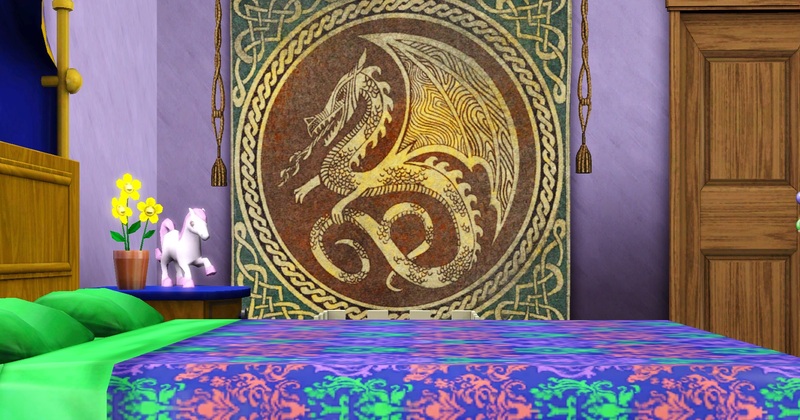 And so, Sir Bear and Dragon Dragon (and Mom and Dad), redesigned Suzie’s bedroom. Dragon Dragon would come visit every day and whisper to Sir Bear of the wonderful changes that were being done. Dragon Dragon was proud of himself. 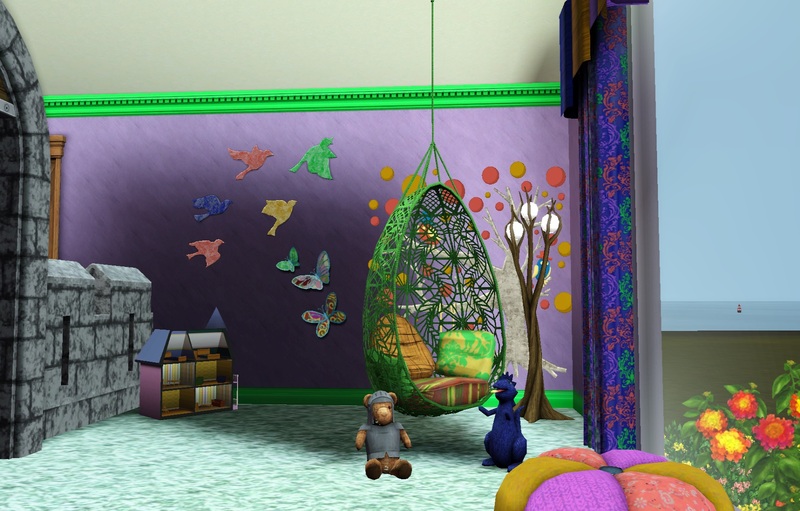 He didn’t tell Sir Bear all of the secrets, because Mom and Dad were turning Suzie’s bedroom into something special for all of them. They were turning her room into a castle with an indoor courtyard. 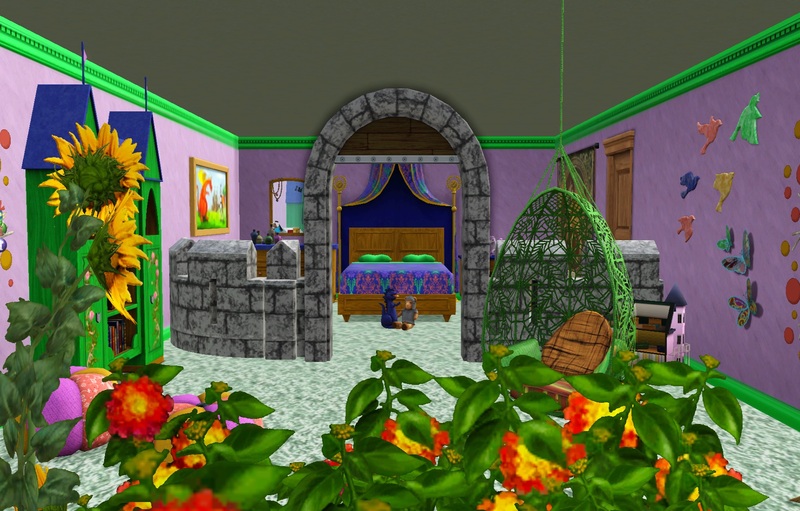 “Mom and Dad planted a garden in front of Suzie’s window and she can lay in bed and look out at the flowers,” Dragon Dragon whispered to Sir Bear on one visit. Mom knew that Suzie would need a lot of rest when she came home, but she would also want to move from the bed sometimes. And so, Mom created a courtyard in the bedroom, with places to play and places to snuggle up and rest without having to lay in bed. “What do you think, Sir Bear?” Dragon Dragon asked on the day they came home. Dragon Dragon had been showing Sir Bear the courtyard and smiled when he saw how surprised both he and Suzie were. “I’m glad I learned how to keep a secret,” Dragon Dragon thought to himself. “I love it!” Suzie told her parents, echoing Sir Bear’s response to Dragon Dragon. 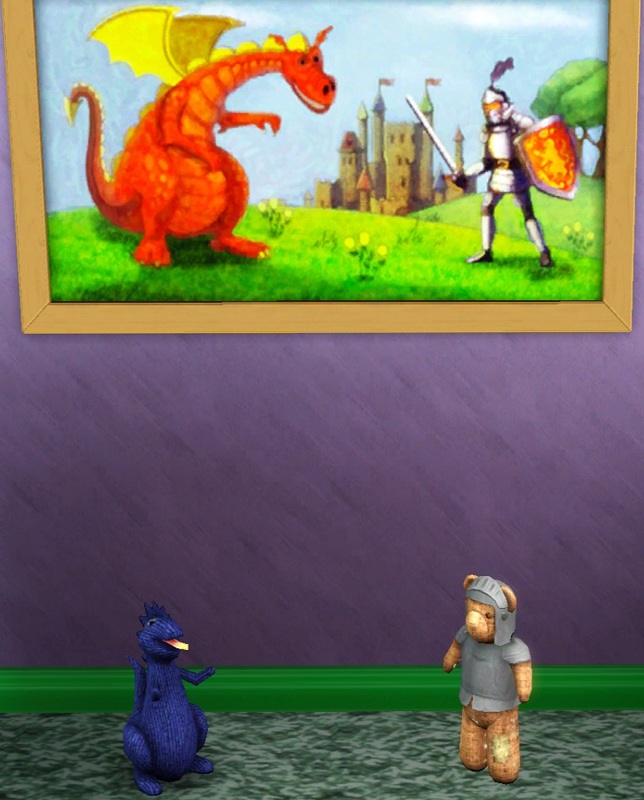 Sir Bear smiled when he heard her, and reached out to give Dragon Dragon a hug. 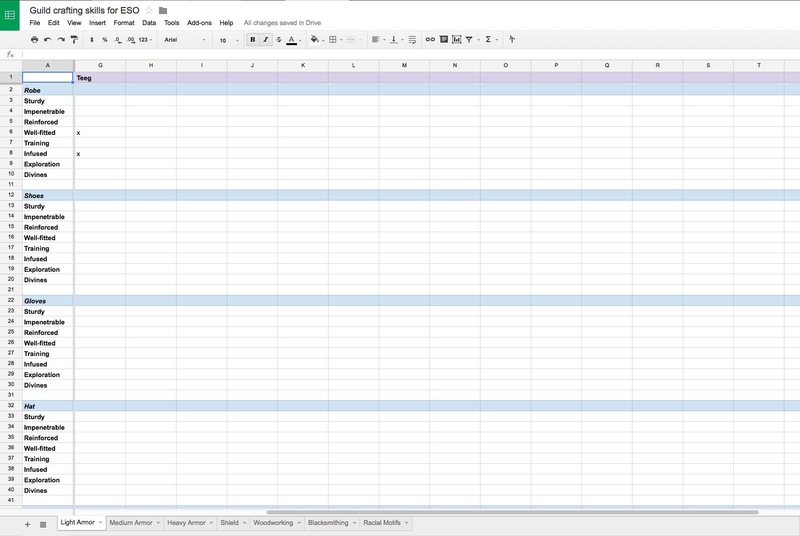 Guild Crafting Skills for ESO is a spreadsheet in Google Docs where each person in your guild can list what crafting abilities they have in cloth, blacksmithing, and woodworking, along with which racial motifs they’ve learned; then if someone is looking for an item with a particular skill or style, they’ll know which people can create it for them. 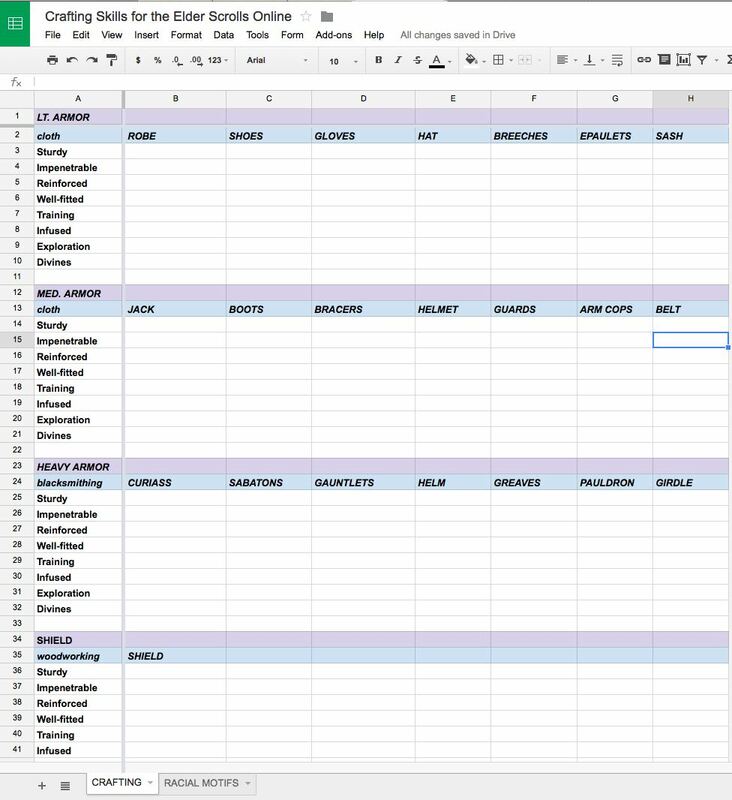 To use: make a copy of the form and save it, add your name to the first empty column, and then mark which skills you have. There are separate tabs for each type of armor, blacksmithing, and woodworking (for the two armor classes) and motifs. 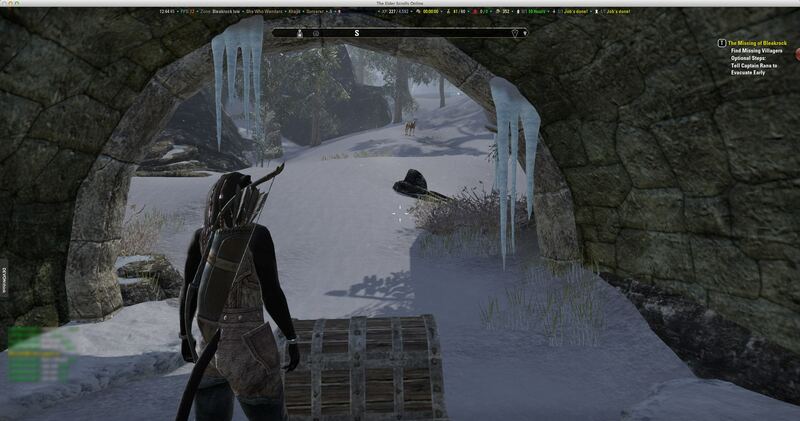 Crafting Skills for the Elder Scrolls Online is for an individual player to keep track of the skills for all their characters. There are two tabs, the first lists all the clothing, woodworking, and blacksmithing skills and the second lets you keep track of which motifs each of your characters can make. Use it the same way as the one above, save a copy of the form and then fill in the information. Sisters, I have walked through the flaming fires of Hell and come out on the other side. 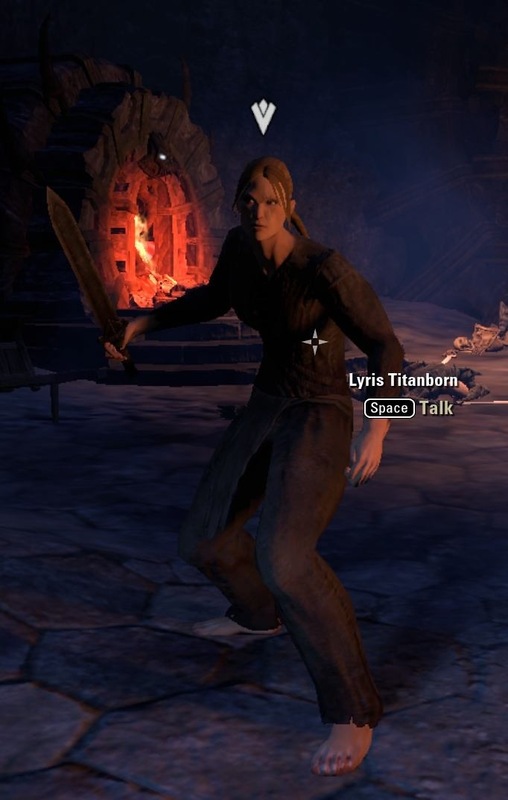 I met Lyris. She lives up to her name as Titanborn. Though I am far from small, I surely look like a child when I stand beside her. I say she lives. I hope that is still so. There is much to share and most is far from pleasant. She was waiting for me after I escaped the inner cells of the prison. The Prophet, according to Lyris, is also a prisoner, but somehow he can send messages to me, even though it is apparently dangerous for him to do so. Our job, Lyris and I, is to help him to escape from his cell. Somehow, he knows a way to get us free from here. Outside is worse than I feared. I did not share with you the answer to my repeat question of where I am, or rather, whose nightmare I have ended up in. 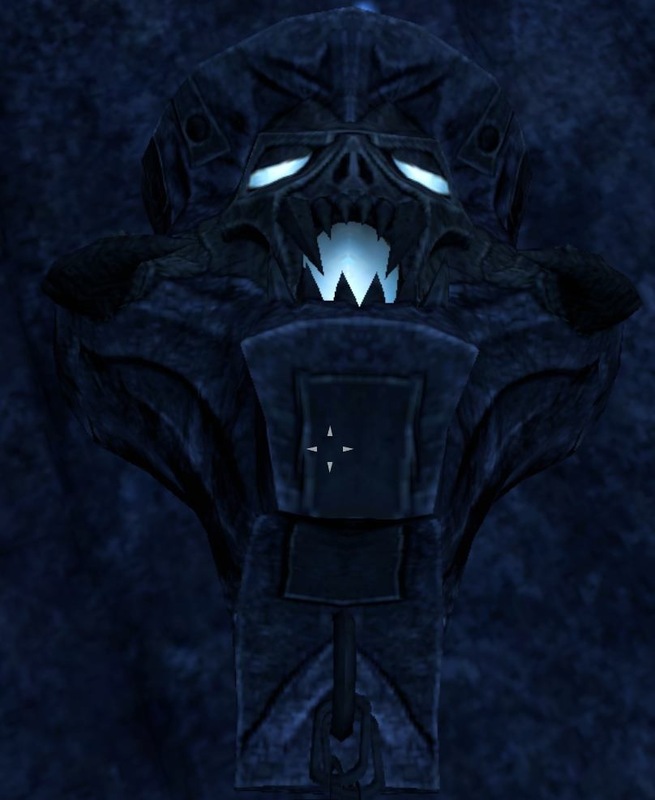 It is so horrible that I hate to speak it, but I have awakened in the prison of Molag Bal. Outside the Wailing Prison, his statue sits on a high pedestal. The sky and land are gray from the perpetual ash that falls like snow. We are in Coldharbour. I sometimes feel my doubt at ever being free start to take over my will, but I fight it. If there is a chance to escape, then I will give everything I have to doing so. When we step outside the prison, Lyris waits patiently for me to gather my wits. I wonder if I’m the first prisoner that the Prophet has seen promise in and called to try to rescue him. I am sure now that it won’t be an easy task. How many have fallen before me? 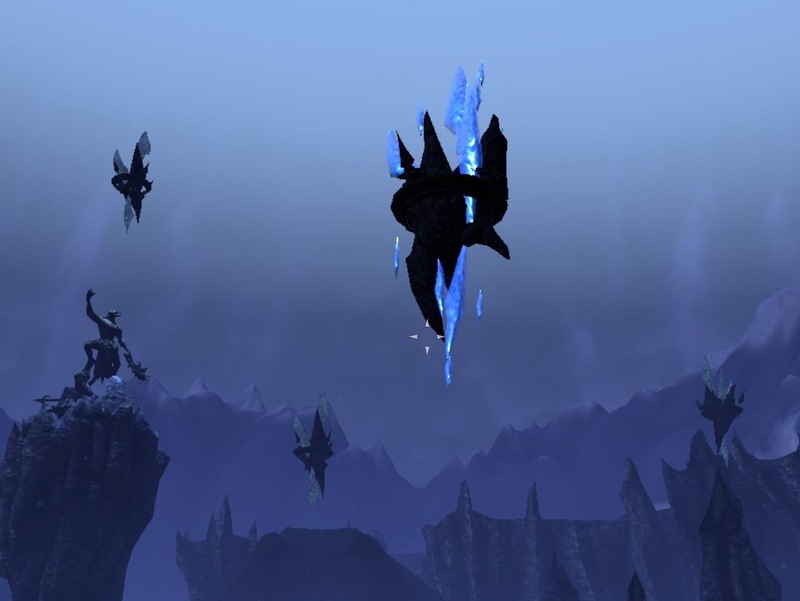 Our first job is to figure some way to destroy a Sentinel, one of several all-seeing eyes that Molag Bal uses to view his playground. How? I don’t know. Lyris doesn’t know. I suspect even the prophet doesn’t really know. Hopefully when we get there, the way will become apparent. On the ground, it is even worse. Some of the prisoners have been here so long that they’ve gone crazy and become feral. All that can be done is to kill them. I hate the choice, but if I don’t, then I will truly dead. All around me there are cries as the feral ones attack the other escaped prisoners. 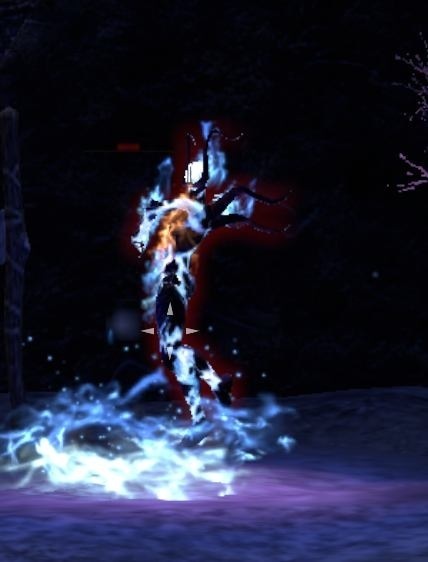 There are some that aren’t attacked, blank-eyed bodies that barely move, standing around the scattered campfires and staring into space. For some reason, they really scare me more than the feral ones. Perhaps because it’s as though they’ve given up and don’t care who or what they are anymore. The soulshriven stare ahead, unseeing and not reacting to the commotion around them. It wouldn’t be much of a prison without guards, I guess. Here, the bright lights that break the gray dreariness are the flame atronachs. Time and time again I watched some of the newly released prisoners rush toward them, only to be consumed like a moth drawn to the campfire. 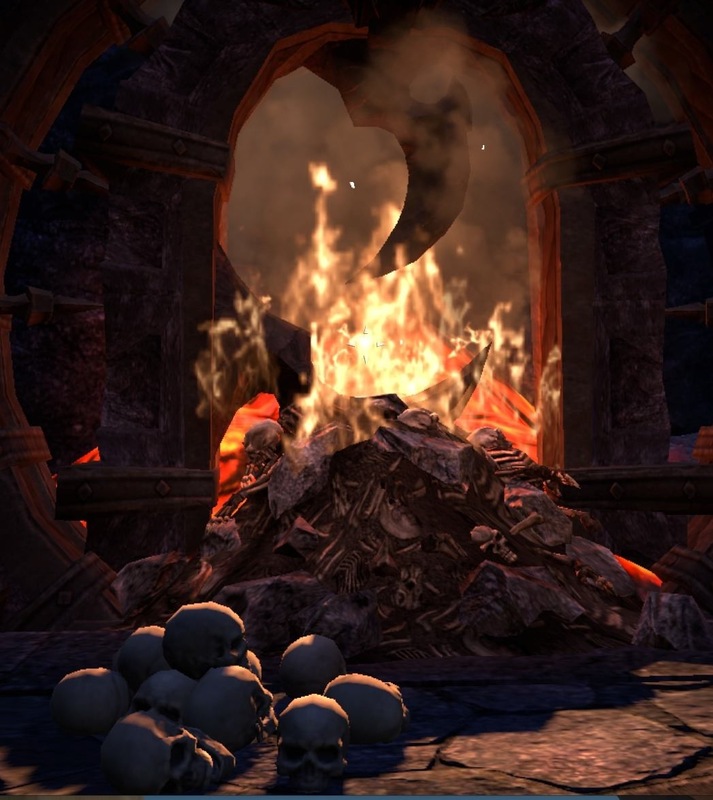 Even when several prisoners overpowered them, the atronach’s dying flash would further injure or perhaps kill anyone who had stayed too close, perhaps to rob the body of any armor or gold it had possessed. The bright light of the flame atronach. Perhaps the thing that shakes my meager courage the most is realizing that the battles I’ve described to you – the escaped prisoners fighting the atronachs, the feral soulshriven who attach anything with any life left in it – none of these matter. 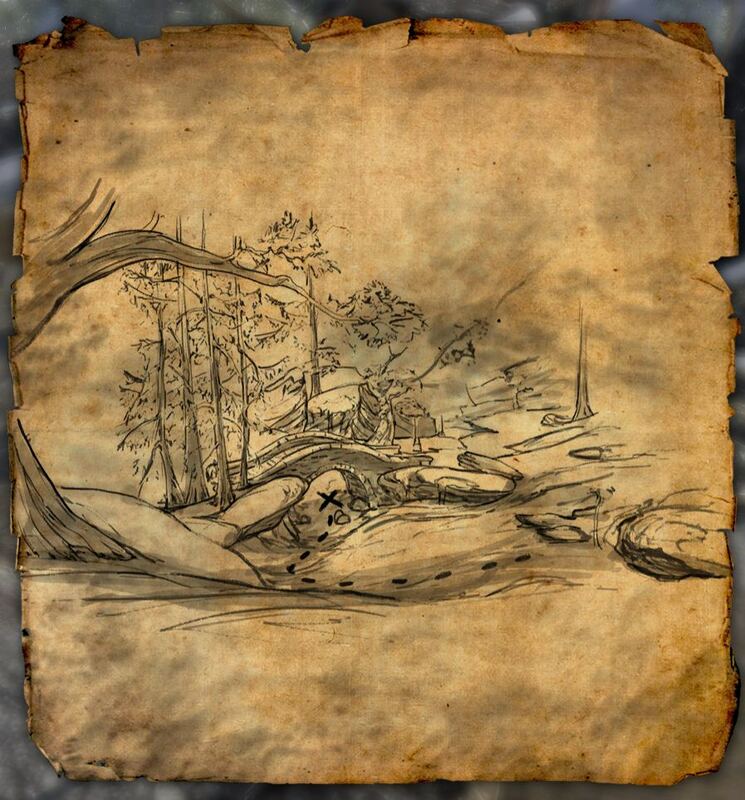 The atronachs revive back in the same spot they were guarding. The soulless, which, my dear sisters, also includes me; we soulless rise from where we’ve fallen, or even worse, sometimes start back at the doorway where we left the inside of the prison. I fight against hopelessness. If even death is removed as a means of escape, how can I ever get out of here? Lyris must see my doubt, she comes up and encourages me. She is so sure that the Prophet knows how to free us. Listening to her, I believe. She is so convinced that it is impossible for me to be otherwise. So I now have hope that this note will actually reach you, that you’ll be able to learn my story. As I travel, without even thinking, I gathering supplies. Cooking ingredients that I find, lockpicks that are hidden in backpacks. It makes me pause for a moment as I realize that the only reason I would collect things is if I expect to survive this, to actually make it through to the other side of whatever this adventure is. There is a Sentinel across the river. As I make my way there, I’m starting to remember some things. We three are sorcerers, I recall, and with that, I remember a couple of the most basic spells we ever learned. But they are battle spells. What I need, but now I am wondering why were we taught battle spells as young kits? Why would these be the first I remember? I was focusing too much on writing this letter in my head, dear sisters, and nearly didn’t see the feral who attacked me. He is dead now, and for a short while perhaps at peace, but I realize I need to focus on my escape if I ever have hope of sending this to you or especially of ever seeing you again. The energy from my radish is long gone. I keep looking for something else to eat, but everything needs to be cooked. I am not yet at the point where raw meat or molded bread holds any appeal. With any luck, I will be far away before I ever get to that point. I found armor on an atronach. I am starting to enjoy the battle, especially with the spells I have recalled. I keep hoping that’s a sign that my memory is coming back, but I haven’t remembered anything else since. “I’m so glad I could save all these lives. The light that woke me was not the sun pouring warmly through a window, but the flickering dance of a fire. 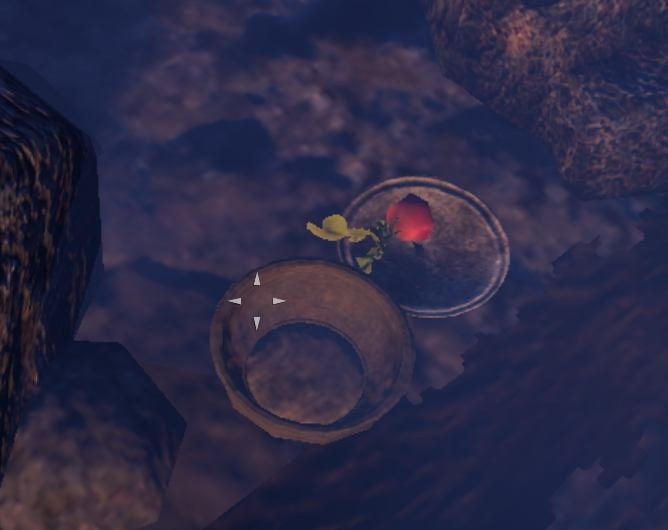 A nearby plate with two radishes reminded me of the empty pit in my stomach. Regardless of the consequences, I feel like I must eat and drink soon or I won’t survive long. One radish down. I’ll leave the other for now. I appear to be in a prison of some sort. Don’t ask me why, most of my memories seem as lost as the Dwemer. Only two things am I certain right now, and those are that you and I shared our birth mother’s milk, thus marking us as sisters. I carry no memories of anyone other than the two of you, and thus this is directed to you, although I have no idea of where in this vast world I am located or where you might be currently found. Hopefully, my memories will come back over time. The radish doesn’t seem to have hurt me, I actually feel better from eating it, as though I’m starting to recover from whatever was done to me before I landed in this place. Time to explore my surroundings. Oh sisters! I am glad that you are not here with me, although I crave the company. The floor is littered with the bones and skulls of others who were here before me, including a skeleton, who looks like he died in mid-scream, lying on a sleeping mat. There is rancid meat in one corner, making the whole room reek. What meat it is, I dare not even venture a guess. There is someone here with me! I jumped when I heard him address me. He does not seem completely alive, more of an apparition from a children’s tale. I am not sure how he came to stand inside my cell, although I can not say that I am sorry to see him, even so; this is not a room that I would want to spend much time in alone. Even if he is crazy, which I strongly suspect, since he claims that he is the past and the future, despair and hope. As to his name, he says I can call him the Prophet. And my job is to rescue him, and then he will rescue me. He must be crazy, right? Either that or I am going crazy myself. I am not convinced that isn’t what has happened. I have gone as crazy as Sheogorath or perhaps somehow fallen through to his realm and the world has gone crazy around me. The Prophet disappeared! After telling me to find someone named Lyris Titanborn. Then an Argonian appeared, telling me to hurry quickly, and unlocked my door. Now I hear him in my head. The Prophet, that is. 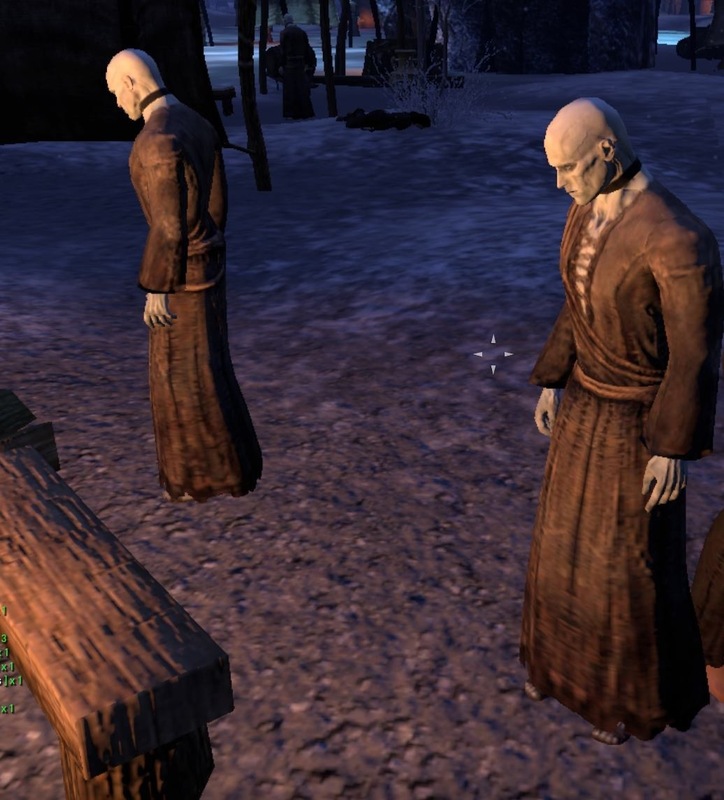 Have I died, my sisters, and my eternity is to be in Sheogorath’s realm forever? What god have I angered? This is not the madness of Sheogorath, this is much worse, a land of damnation from the nightmares of Oblivion. The rooms that I pass through are horrors worst than any nightmare. And even worse, I am not the only one here. The place is filled with people from all races, trying to escape from the horror that is our surroundings. But where are they running to? What awaits us once we escape? I haven’t been here a day and yet I find myself afraid to hope that outside leads to freedom. I feel like I have been left in the worst nightmare a crazed mind could conceive and from that kind of nightmare there is usually no escape. Read Part 2 of the Wailing Prison adventure.